Custom Shaped USB Flash Drives Capless your company logo shape in 5-7 working days. Water, scratch and dust proof. A solid and simple one piece Capless USB uniquely shaped exactly as you want it. The USB connector stands out, it is water, scratch and dust proof. Your unique USB stick has a black or white base colour and is made of plastic. 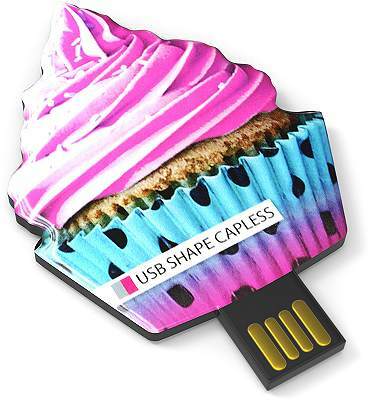 Get creative and design any desired size or shape USB stick for the perfect promotional tool. 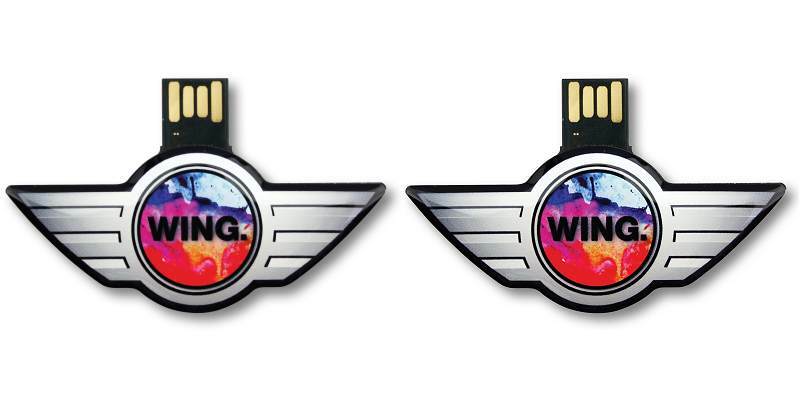 Standard delivery of the USB stick Capless has a full colour print and optionally finished with doming. A promotional business gift deserves quality packaging. For our CPD62 USB stick we recommend: Gift box Frame. Please click for details.